Hey guys! 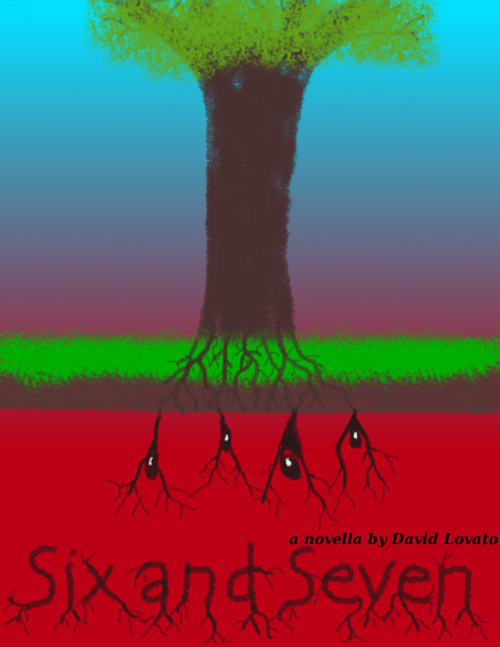 A few weeks ago I posted a release notice for my latest novella, Six and Seven. Since then I’ve been working on a few things, included fixing some formatting errors that popped up in the e-book (which today I think I’ve finally resolved). While repeatedly going over the book looking for errors, something caught my eye. It’s the little copyright notice at the beginning of the Smashwords edition of the book. It’s where I claim the copyright and ask people not to share the book or read it for free. The text itself was copied from an example given by Smashwords, and I had never really thought much about it. Reading it the last few weeks got me thinking, though. The truth is, I don’t really care if you read my books for free, or if you share them with someone else. That’s not to say I like working for free; I certainly enjoy being paid for my writing, but if it came down to someone reading my books for free or not reading them at all, I’d choose the former. I don’t think this should be the case. I think people have a right to be paid for the work they do. But I also understand the plight of the modern consumer: All of the free samples in the world don’t help if you get to the end of a book and just feel ripped off. This is especially true the weaker the economy is and the tighter someone’s budget is. I’ve decided to try an experiment, a new business model. I’ve always released my books free of DRM when given the option, and I’ve never hunted anyone down to see if they were sharing it with a friend. I’m taking that concept to the next level. From now on – at least for a little while – if you want a copy of one of my* ebooks, just ask. Send me an email at justonesp00lturn (at) gmail (dot) com, let me know the title of the book you want, and the format (I should be able to handle most, including pdf, epub, mobi, whatever calibre is capable of converting to). I’ll send you a copy for your reading pleasure. What I will ask in return is that you consider rating my book on goodreads, amazon, smashwords, wherever. I’m not asking you to give me good reviews, and I don’t want you to feel compelled to. I’ll only ask you to give an honest review. And if you don’t feel like giving one at all, that’s cool, too. Another request is that if you want to share the book with a friend, please use this same method. It wouldn’t be fair for me to encourage people to share works that were created and distributed by other bookstores and by Smashwords. They do work over there that I feel they deserve to be paid for, and if you disagree, that’s the beauty of having a choice of which, if any, you support monetarily. I don’t know how long I’ll extend this offer. I am, after all, trying to make writing my career. But I believe the vast majority of people will pay for something they feel deserves that support, and I know it’s hard to to decide that based on a small sample of a whole work. This brings me to the second part of this post. 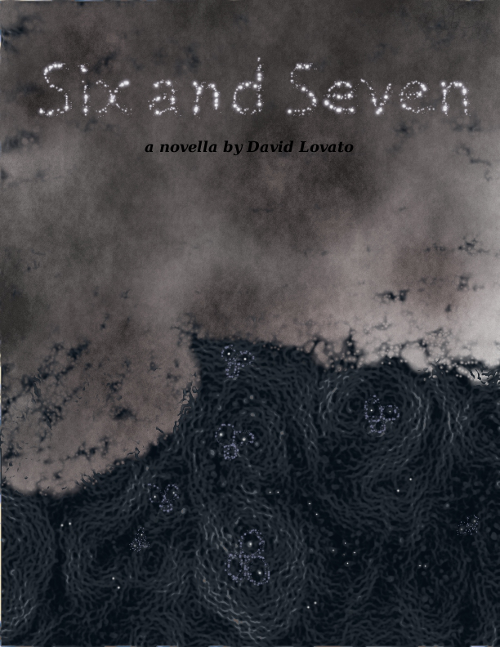 I recently received some very helpful feedback regarding Six and Seven as it is currently being presented. That included some criticism I more or less agree with, that the cover is a little bland, and doesn’t really demand attention like a cover should. 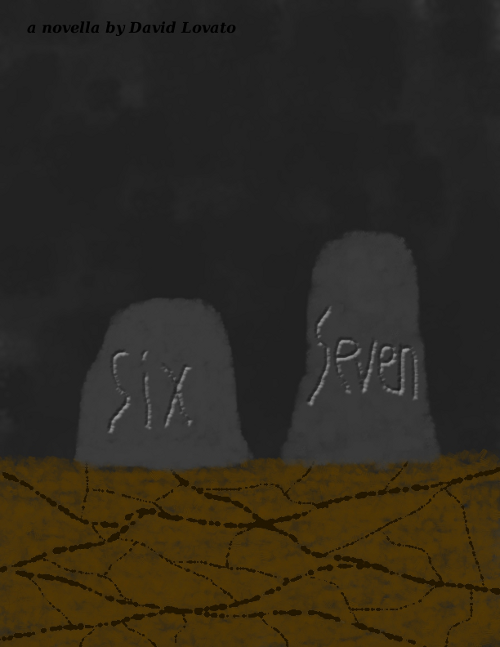 Six and Seven is an illustrated work. 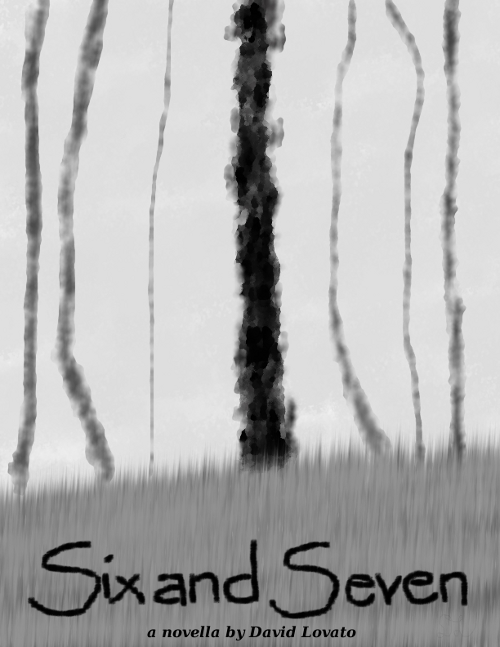 I’m not a good artist by any means, but as I was writing it I was digitally painting scenes that popped into my head, and these are included in the book. I also made a “cover” version of each illustration, with the intention of making them available here on my blog for people to download their favorite and replace the book’s “official” cover with. I still intend to do that, but I thought of something that might help solve this little uncertainty I’m having at the same time. I’m going to put the covers up on here and let anyone give their input on them. 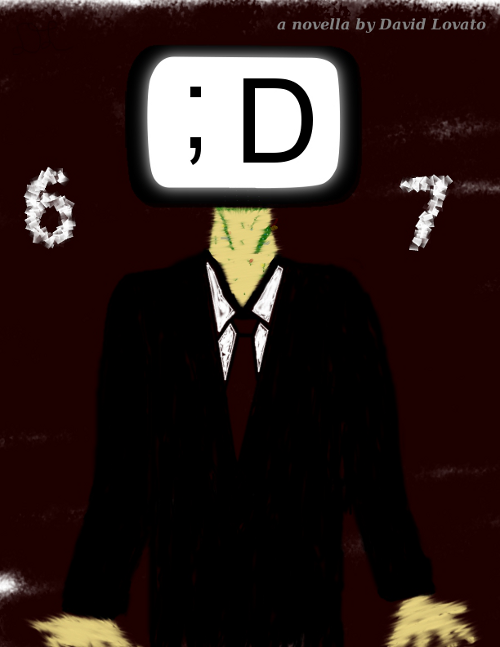 Whichever gets the most positive attention will likely become the “official” cover of Six and Seven. And hey, if you just want to comment and tell me they’re all terrible, go ahead (though it won’t do much good; I already know I can’t draw, that’s why I’m a writer and not a painter :P). I’ll most likely be repeating this information on my other social networking sites. Feel free to share at will; if you have a friend in the market for some new books, I’d really appreciate you sending them my way (or sending my books their way). Here are the covers. Click one to make it larger, and if you want, leave a comment letting me know your thoughts, your favorite, your least favorite, what have you. Thanks!